My brother-in-law, Mike, who works as a nurse in California’s wine country, recently told me that one of his patients reported, during a post-surgical health interview, that normally he drinks “just a bottle of wine a day.” The admission made Mike worry that this patient might go into alcohol withdrawal, which could cause him to die while recovering. The hospital staff released the patient early so he could go home, drink, and thus avoid withdrawal symptoms, including possibly delirium tremors (the DTs). Anyone who drinks heavily, according to the above definition, may experience symptoms of alcohol withdrawal upon stopping. The more a person drinks and the longer they’ve been drinking, the more likely that they’ll go through withdrawal, and the more severe their symptoms likely will be. A woman who has just eight drinks a week probably won’t endure severe withdrawal, but at eight drinks a day, dangerous withdrawal is probable. It’s key to note, though, that vulnerability to withdrawal is highly individual. Some people have no symptoms, while others land in the hospital. The severity of withdrawal symptoms depends on overall health, sensitivity to alcohol, time period over which heavy drinking has occurred, age (elderly drinkers are more susceptible), stress levels, family history, eating patterns, and the amount of alcohol consumed. If you’ve had a previous withdrawal experience, you’re more likely to go through another even if you’re drinking less this time. Binge drinkers whose binges last two weeks or longer are at particular risk. Also, concurrent use of other drugs enhances the probability of going through withdrawal. Withdrawal occurs because the nervous system has adjusted to the depressive effects of alcohol and comes to depend on those effects. Alcohol slows down brain function and nervous system functioning, and when you are drinking, the brain and nervous system work overtime to compensate for the depressive effects.4 “What is Alcohol Withdrawal?” WebMD. 12 October 2018. https://www.webmd.com/mental-health/addiction/alcohol-withdrawal-symptoms-treatments#1 When you stop drinking, the system is still working overtime, but without the dampening effects of alcohol. Also, when you quit drinking, your body tries to rid itself of the toxins that have built up, which also contributes to symptoms. Mild symptoms, also called Stage 1 symptoms, include an array of psychological and physical issues such as anxiety, insomnia, nausea, abdominal pain and/or vomiting, loss of appetite, fatigue, tremors, depression, bad dreams, shakiness, foggy thinking, mood swings, and heart palpitations. These are the symptoms that manifest first and are usually unpleasant enough to drive the person to take another drink. Stage 2 symptoms include raised blood pressure, sweating, increased respiration rate, fever, irregular heartbeat, mental confusion, and more severe mood disturbances. Stage 3 is where things get dangerous. These symptoms, called Delirium Tremens, or DTs, usually manifest two to four days after quitting drinking, after all, alcohol has left the system. Only a small percentage of those withdrawing get DTs, which is fortunate because DTs are fatal in up to 15 percent of those who develop them. Delirium tremens is a severe form of alcohol withdrawal. It involves a rapid onset of confusion along with sudden and severe mental or nervous system changes. The person may have seizures that can last for hours or vivid hallucinations that can last days, and they typically come on without warning. Other symptoms include skyrocketing blood pressure, out-of-control fast pulse, profuse sweating, fever, shallow breathing, dehydration, extreme confusion, irrational behavior, and unconsciousness. Again, not all drinkers experience alcohol withdrawal syndrome, but of those who do, about 60% will have multiple seizures without proper treatment. Thirty to 40% of those patients will eventually develop DTs, and of these, at least one in 20 will die, particularly among those who don’t get medical care. Because it’s such a health risk, it may be a good idea to have medical supervision when undergoing detox, particularly for very heavy users. Another advantage of having medical support is that it may lessen the possibility of relapse, since many find withdrawal so miserable that they end up drinking again to end the agony. Even if you decide to detox at home, it’s imperative to have someone around to monitor the process in case you develop more severe symptoms. In some cases, medical professionals will suggest gradually weaning off alcohol instead of cold-turkey quitting. In others, they may prescribe various medications and supplements that can reduce symptoms of withdrawal. One of the more common medical withdrawal protocols uses Benzodiazepine tranquilizers, such as Valium or Ativan, to help dampen nervous system overactivity. Because users can get addicted to such tranquilizers, creating a new problem, prescriptions must be short term. 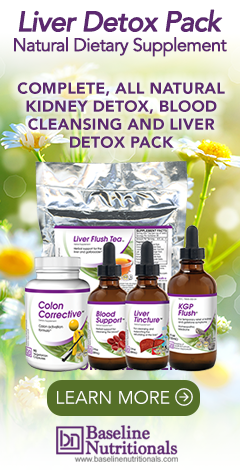 Other common drugs used in detoxing include anti-seizure medications, anti-nausea medications, antipsychotics, and blood pressure medications. From a natural health point-of-view, it’s essential to eat in a way that promotes elimination of toxins when quitting. Drinking plenty of water and warm liquids and getting light proteins helps during alcohol withdrawal, as does supplementing with magnesium and the full range of B-vitamins including thiamine and folic acid. Natural relaxants such as valerian and chamomile may provide support, as well as anti-inflammatory herbs such as turmeric and cayenne. Digestive enzymes may also be useful. In fact, so many herbs, vitamins, and enzymes can support alcohol detoxification that an entire blog could be written on the subject. In the meantime, an internet search of “natural alcohol detox” will yield plenty of information. The bottom line is that if you drink regularly, it would be wise to assess if you’ve become a heavy drinker. If you don’t want to quit, remember that you could not only find yourself in the hospital for various health problems, as did my brother-in-law’s patient, but you could also be at risk of developing alcohol withdrawal symptoms. If you do decide to quit, be wise and get support to help you through the process. Good article on alcoholic withdrawal symptoms. Most important is the person concerned to accede to these directions and adopt methods to completely eradicate this devil’s function. Jon, I wonder if you could comment on the effects of excessive alcohol on our GUT’s health? (Or point me to a reliable resource.) We hear a lot of talk today about the importance of our gut; the good bacteria; that it represents 70% our immune system; that it’s in constant communication with our brain, other organs, and hormones (like insulin); that without a healthy gut, we are at greater risk of diabetes, Alzheimer’s, cancer, and just about every other major disease. We are often warned to stay clear of Rx antibiotics because they will indiscriminately destroy all intestinal bacteria — and it can take months if not years to rebuild your micro-biome. Well isn’t alcohol used as a disinfectant and antibacterial? I’ve heard that some heavy drinkers suffer from esophageal damage (to the point of bleeding). How susceptible is our stomach’s lining to alcohol? Could this lead to leaking gut? Or at the very least – malabsorption and malnutrition? How long does it really take to rebuild a completely devastated digestive system? (Assuming the heavy drinker even understands HOW to rebuild a healthy micro-biome.) And wouldn’t this process be hampered by taking even just 1 drink per day? It seems that the SAD and over-use of antibiotics (both pharmaceutical and agricultural) has resulted in SO MANY intestinal, immunological, and allergic disorders in this country that it would be hard to justify anyone consuming any amount of alcohol. I know many studies have attempted to demonstrate that 1 or 2 drinks a day (particularly red wine) actually has some health and stress benefits – but at what cost? What good is a little resveratrol if you don’t have a gut that can absorb and assimilate it?